Confession of a Die-Hard Makeup Junkie ❤: SHuiYuki's Qoo10 Great Baragin - Time Sales! ≧◠◡◠≦✌ To be VERY honest, I didn't know Qoo10 is the previous G-market if not for OMY.SG. And I NEVER REGRET knowing it (except BF - he was complaining I'm FOREVER at this website spending too much time & money on sourcing out items! :X). 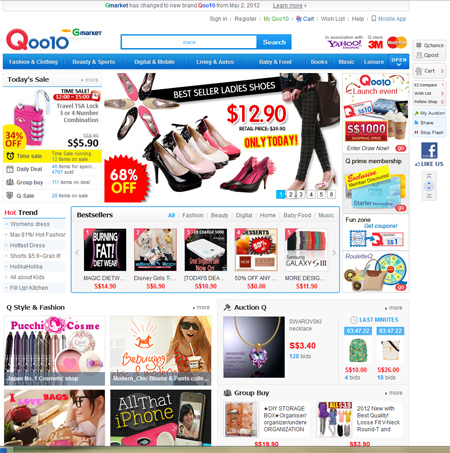 Read more about my Qoo10 Shopping Experience! Qoo10_Singapore Blog Entry Part I - AWESOME FALSIES @ S$6.90 ONLY! Qoo10_Singapore Blog Entry Part II - DAILY SALES! Qoo10 has thoughtfully come up with 2 more sections (Daily Sales & Time Sales) to reward their faithful and loyal customers (*ahem* like yours truly) with more SUPER AFFORDABLE deals! 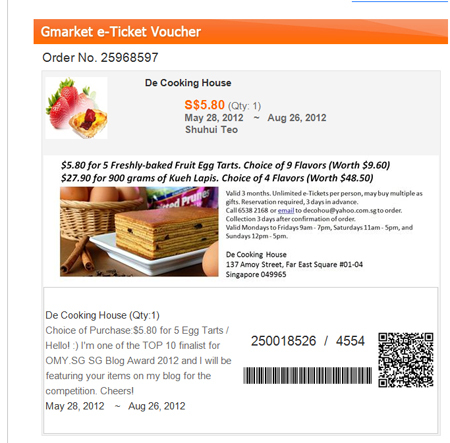 So I'd happily grabbed this e-voucher from De Cooking House and 5 freaking yummylicous egg tarts!!! This is how the e-voucher looks like. And do remember to present the voucher upon redemption! BF & I on the way to collect the egg tarts! Treated my BF & friends to have a taste of the egg tarts and they do enjoyed the egg tarts alot although they were abit dry.